In this use case, we are going to reconcile our eBOM to our mBOM. There is a surplus in our eBOM that needs to be added to our mBOM. 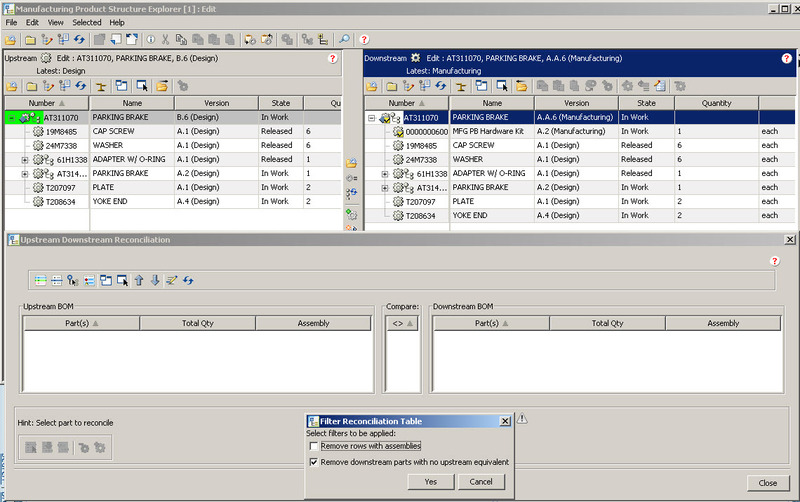 1) To begin, select the top Upstream and the Downstream parts to compare and click on the “Reconcile Selected Structures” icon located in the center toolbar. 2) The system displays the parts for which compiled upstream quantity is different from equivalent downstream quantity. 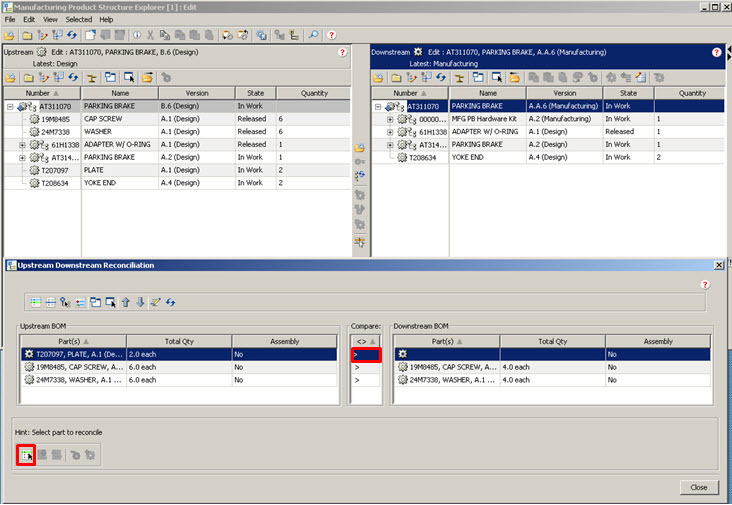 It also displays those parts which are surplus in the eBOM. 3) Now, select to display the discrepancies in tree. 4) The system highlights the discrepancies (yellow), the parent context as well the equivalent parent context in the other tree. The system also provides a hint to on how to reconcile the discrepancy. 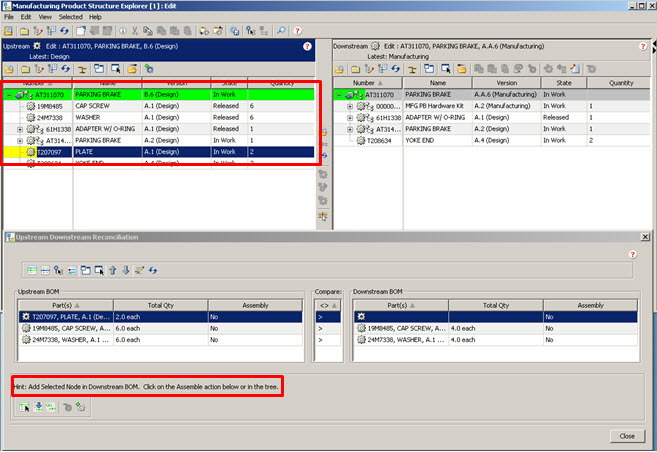 5) Once a discrepancy is selected in the tree, you can either use the shortcut in the reconciliation panel or directly update the tree. Repeat this procedure for all discrepancies. 6) Lastly, you should do a refresh to get an updated list of discrepancies. 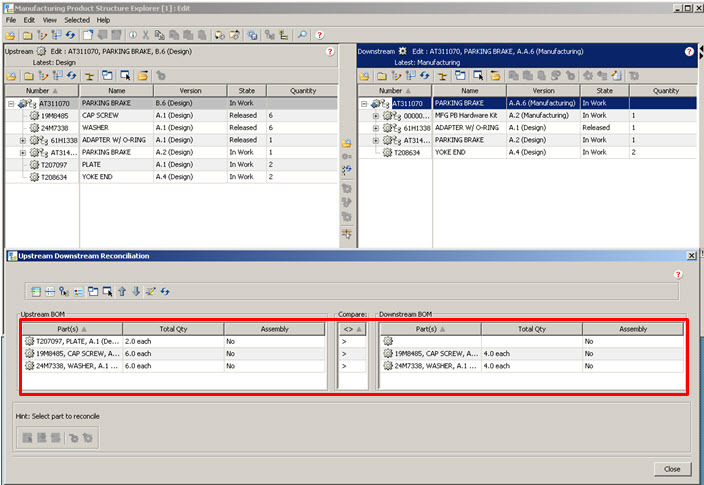 It should be noted that you can also choose to filter out mBOM parts for which no Upstream exist e.g. for those parts that only exist in mBOM. 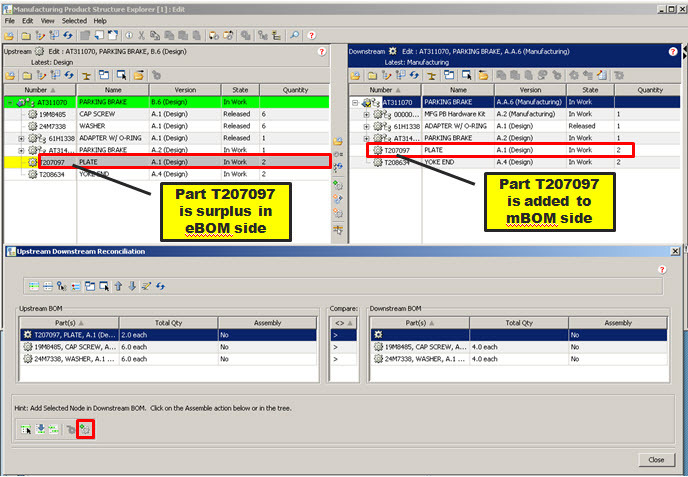 In addition to this tip, additional informational videos such as, Associative BOM transformation with Windchill MPMLink 10.0 and Define and manage options and variants for manufacturing deliverables with Windchill MPMLink 10.0 can be found on the Planet PTC website.